St. Frances’ Adrian Baldwin attempts a shot as Simeon’s Jaylen Drane defends during Saturday’s Charm City vs. Windy City boys basketball event. Baldwin scored nine of his 25 points in the fourth quarter as the No. 2 Panthers won, 70-65, inside Phelps Gym in East Baltimore. It was deja vu all over again for St. Frances Academy and Patterson boys basketball squads Saturday at the Charm City vs. Windy City Showcase for different reasons. The fourth-ranked Clippers dropped an 88-77 overtime decision to Chicago’s Morgan Park, while No. 2 St. Frances posted an 80-75 victory over Simeon, in the nightcap inside Phelps Gym in East Baltimore. After a stirring comeback victory over No. 3 Poly Tuesday, Patterson snatched defeat from the jaws of victory Saturday. Junior guard Adam Miller scored 30 points for Morgan Park (18-3 overall), and Isaiah Burrell added 16. Millersville University-bound Gerard Mungo tied for game-high honors with 30 for Patterson (11-3), and Marvin Price added 19. The Clippers overcame a 14-point fourth quarter deficit Tuesday before winning in overtime. Saturday, the Kane Street school failed to hold a 7-point advantage in the final 3 minutes, 50 seconds of regulation. With Patterson trailing, 56-55, entering the fourth, Mungo started an 10-2 run with a steal and basket and added a nifty reverse layup. After missing a ferocious one-handed dunk, Price got a pass from Jalen Willis and converted off the glass, giving Pattterson 65-58 lead with 3:50 left in regulation. Morgan Park regained the lead, 69-67, as Miller hit a short jumper with a minute left in regulation. Willis got Patterson even with a basket with 53 seconds left, and had a chance at the end of regulation, but a jumper by Mungo appeared to come right after the buzzer sound. Mungo missed on the final attempt, then Morgan Park took over in overtime. The two-time reigning Illinois Class 3A state champs, ranked 4th in the Chicago metro area by the Chicago Sun-Times, scored the first five points and out-worked Patterson on the offensive boards. St. Frances continued its success in the Baltimore/Chicago competition, but needed a late push to thwart a Simeon comeback. Junior guard Adrian Baldwin finished with 25 points for the Panthers (20-3), and Jordan Toles added 18. The defending Baltimore Catholic League champs led 58-44 late in the third quarter, but Simeon (10-11) rallied, tying the game at 63 with 2:26 left in regulation. As been the case the last three seasons, St. Frances turned to Baldwin, arguably the area’s top point guard. After forcing a five-second call on defense, Baldwin converted a 3-point play, giving the Panthers the lead back. The 5-foot-10 junior added four free throws, going 7-of-7 in the final frame and 10-of-10 for the match. Last year, Baldwin had 14 points and seven assists in St. Frances’ victory over Morgan Park at Poly. In 2017, Baldwin capped a fourth quarter rally with a follow-up at the buzzer to beat Morgan Park. Afterwards, the then-freshman was lifted up by his teammates. Baldwin, who has nearly two dozen Division I offers including Maryland, said St. Frances cherish playing in prime events. 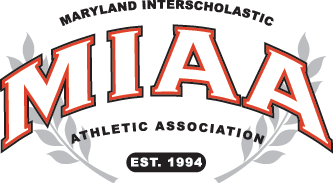 The Panthers have St. Vincent Pallotti in MIAA A action Monday before traveling to Hagerstown for a BCL first-place showdown with St. Maria Goretti Wednesday. Saturday, the Panthers play Poly in the Wells Classic at SECU Arena. Morgan Park – Grover 13, Roberts 14, Burrell 16, Jones 2, Watson 2,Washington 10, Miller 30. Totals 31 20-32 88. Patterson – Blackwell 15, T. Thomas 2, J. Thomas 3, Mungo 30, Price 19, Willis 4, Noble 4. Totals 26 22-27 77. Simeon – Clements 5, Drane 4, Reeves 32, Callwood 9, Poole 3, Stamps 7, Casey 3. Totals 19 20-27 65. St. Frances – Jones 6, Baldwin 25, Toles 18, West 15, Walden 2, Alexander 2, Stanton 2. Totals 22 18-22 70.